Office Location: Arnold, MD. Employees can also work full time from this office. 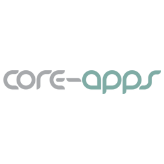 Core-apps is looking for a talented, passionate developer who has a knack for well-thought out code, strives for perfecting user experience, and wants to bring something fun to our gaming sessions. You will be working with other members of our team to provide the best-in-class mobile event apps and event management software. You will be involved in every aspect of development ranging from ideation to deployment and will not be treated like a factory worker in an assembly line. This is a full-time, salaried position with benefits. We are NOT looking for contractors or development firms, and are not looking to work through a recruiter. Solicitations will not be tolerated. Apply today and become a valued part of our amazing team. Has a great personality. Can you name all the Dr. Who actors? Can you generate a meme faster than a witty comeback? Can you talk about beer, gaming, philosophy, and foreign languages all in the same sentence? Is able to work independently from home (or wherever!) without a micromanaging boss. Dress jammies are only required on Mondays. Can integrate into and communicate with a team of device developers, server developers, project and operations managers, and sales and accounts folks. Can communicate solely via Skype, Slack, and email to hit the ground running. Have a few (or many) live projects that we can poke around OR be able to send us some links to repositories of some open-source work. Have the hardware and software to do his/her job, a fast and stable internet connection, and a place where he/she can work uninterrupted. We began as a startup over seven years ago, and have grown leaps and bounds since then (including acquiring another company) to the point where we now dominate our niche market. We produce event apps for conventions and tradeshows of all sizes, including for some of the biggest and best names in just about every industry you can think of. Our team is distributed across the US, so you can work wherever you please so long as you have a fast and stable internet connection, are willing to work US business hours, and have a place where you can work without interruptions. Want to get notified about new jobs at Core-Apps LLC?